A comparison between plain water and sparkling water can illustrate our lives before meeting Christ and now. Here is a Bible object lesson for Sunday school that can be used to teach these scriptures: 2 Corinthians 5:17, Colossians 3:1. 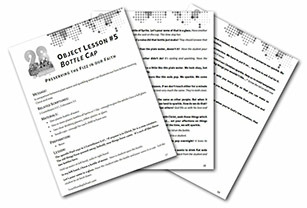 Did you know you can get our complete set of object lessons in one quick and easy package? Click here to get yours! One plastic bottle of water; one plastic bottle of Sprite or 7-Up – enough to give the whole class a full glass. Two clear drinking glasses, either plastic or glass. Small cups – enough for each child to have one. 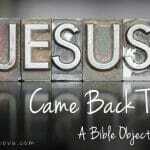 The apostle Paul says in 2 Corinthians 5:17, “If anyone is in Christ, he is a new creature. The old things have passed away; behold, new things have come.” It’s sort of like these two bottles here. Hold up water in left hand, soda in right hand. In my left hand, I have a bottle of water. Have a student open the bottle. Let’s pour some in a glass. Have the student take the bottle and pour some in a cup. Tell the student to sit back down. In my right hand, I have a bottle of Sprite. Let’s pour some of that in a glass. Have another student take the bottle and break the seal on the cap. This time stop her. Did you hear that? What kind of a noise did that bottle just make? They should answer that the fizz created a squirting noise. This bottle sounds more “alive” than the plain water, didn’t it? Have the student pour some soda into the other cup. What is this liquid doing that the other didn’t do? It’s sizzling and sparkling. Have the student sit down. Before we give our lives to Jesus, we’re a little like this plain water. We look okay, but we’re kind of bland. We’re kind of boring. After we give our lives to Jesus, we’re more like this soda pop. We sparkle. We come alive. Now let’s notice something about the two glasses. If we don’t touch either for a minute or so”¦do they look sort of the same? Yes, they look very much the same. They’re both clear. But one makes a sparkle every once in a while. 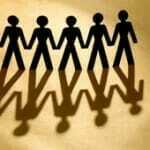 Often times in life, Christians look very much the same as other people. But when it comes time to show the love of Jesus in our lives, we tend to sparkle. How do we do that? How do we get the power to look more sparkly than others? God fills us with his love and power, which makes us different. where Christ sets at the right hand of God”¦ set your affections on things above, not on things of the earth.” If we practice that all the time, we will sparkle. So, once God fills us, one of two things can happen. Put the lid on the bottle. We can keep our sparkle or”¦ Take the lid off again and toss it to a student. What happens when we leave the cap off a bottle of pop overnight? It loses its sparkle. It becomes like the water again, doesn’t it? No sparkle? Who wants to drink flat soda? As Christians, we want to keep our sparkle. Ask for the cap back from the student and hold it up. If we’re going to act like new creations, we have to take care to preserve our sparkle. We have to ask for God’s protection. The bottle cap is like God’s protection. 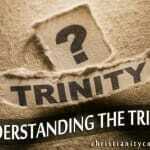 We have to put it on”¦ we have to ask God for it. Put the cap on the bottle but leave it loose. Pray, “Father, I ask that you protect our Christian sparkle. Help us to resist temptation when we’re with kids who are doing things you wouldn’t like”¦” Screw the lid on with one twist. “Father, help us remember to speak with you every day so that you can make us stronger.” Give the lid another twist. “Use us, Father, so that others may know you because we sparkle from your love and power.” Give the lid a final twist. Pass out cups. And of course it’s really important when you’re God’s new creation, that you share your sparkle with others! Put some sprite into the cups and have a drink together. 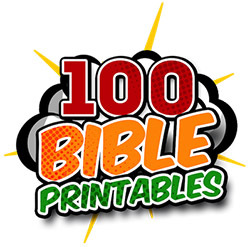 If you are looking for more great Bible Object Lessons, you can get our complete set of object lessons here! And one more thing! Don’t forget to Become a Fan on Facebook, Follow Us on Twitter and Come Hangout with Us on Google+! Wonderful idea, I was looking for ideas to show my 2nd grade class how to keep your faith alive, this lesson complements mine so well, Thank you for sharing it, I think the kids are going to love it, understand it and remember it! Great idea, I was looking for ideas to show my 2nd grade class how to keep your faith alive, this lesson complements mine so well, Thank you for sharing it, I think the kids are going to love it, understand it and remember it! Thanks for this lesson idea. I was talking to my teen aged daughter about the water and sprite or 7-up and she made a good point. We could also add that the water also represents sin.. with God we sparkle but when we walk away from God (adding water to the sprite),we become deluted. The more we walk away (adding more water) the less and less we will sparkle. 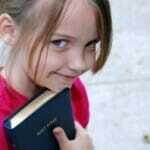 SO again the Sprite makes us sparkle and you can’t be close to God if you delute it with sin. Great way to help the children in my Sunday school class understand about faith and why it is important to ‘keep it’. Thanks!